2018/19 Season starts in October. Registration open for Juniors, Seniors and Social comps. Welcome to the The Clarendon Tennis Club. 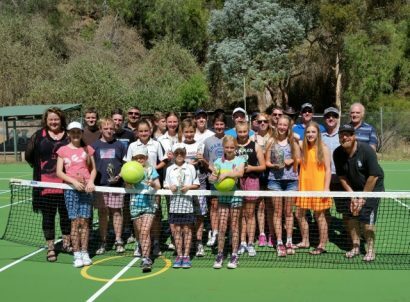 Our club is affiliated with The Onkaparinga Tennis Association and is located in the beautiful surrounds of the Clarendon Recreation Grounds on Oval Rd Clarendon. We compete in the OTA Saturday competition, fielding teams in both the Junior and Senior divisions. In the warmer months (Spring/Summer) we run a doubles social comp held under lights each Wednesday night for both men and women. We are a family friendly club and welcome new players of all ages and abilities to come out and play.